Tidnisher@NPsteve @JustinTrudeau no no it's obviously a metaphor for Schrödinger's Cat, we don't know if the Caucus is Alive or Dead unless we look. Trilliumgyal@AdamScotti he must think I'm quite annoying but I simply only wish to make @JustinTrudeau laugh now n then! 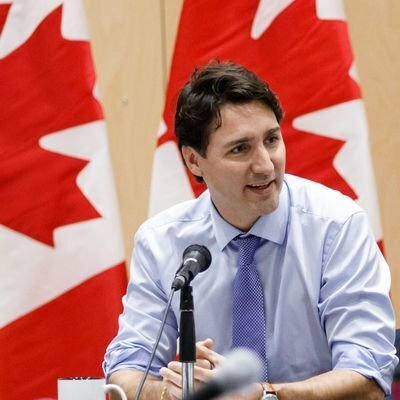 TheBrazman@justinpjtrudeau coming from the son of a former PM who introduced the White Paper, I surely won't take any history lessons from you! buck4ittTwo rules of how to handle your wife's birthday. First, don't forget the birthday. Second, support her decision as to which birthday it is. acoyne@scottfeschuk Not originally. They just had him made into one for the '57 campaign. scottfeschuk@acoyne In the party's defence, Louis St. Laurent was actually a chesterfield.